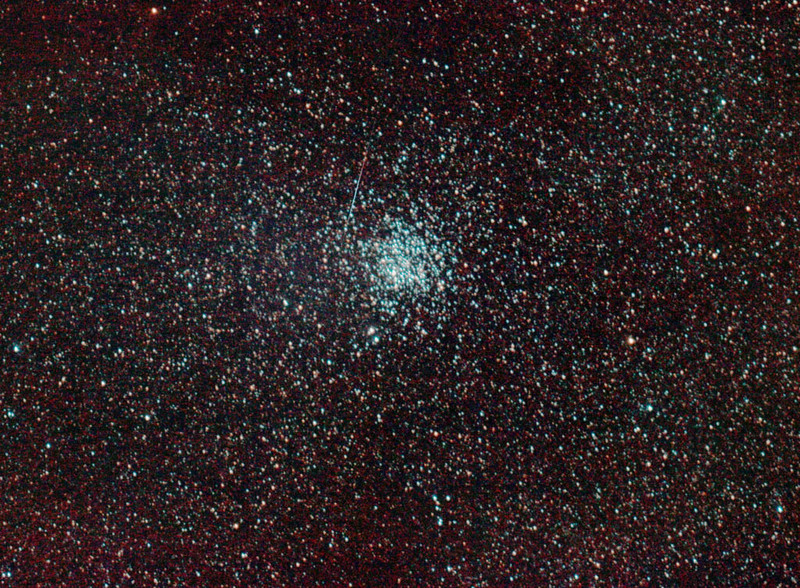 This image of M11 was taken by Chris Newsome on the 30th May 2009. Chris used a Canon 400D camera (controlled by DSLShutter), 18 x 240 seconds exposure, 400ASA, and a Celestron C8-NGT, guided with a Skywatcher 80T/Meade DSI using MaximDL. 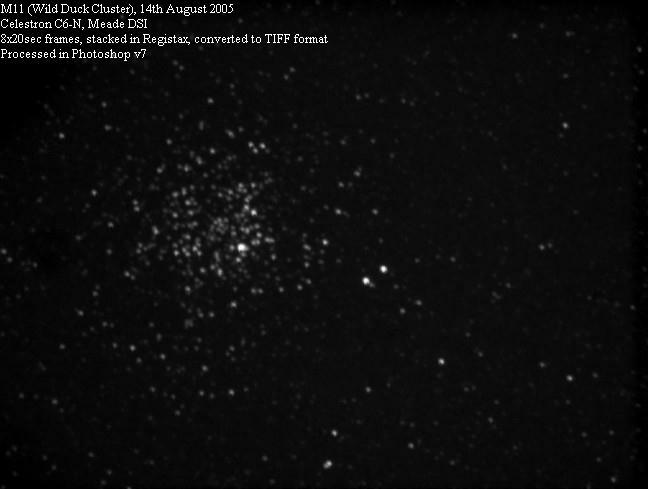 The final image was stacked in DeepSkyStacker v3.2.2, and then processed in CS2. Note the meteor by the upper left of the cluster. Chris Newsome produced the following image of M11 on the 14th August 2005.